It seems that in most descriptions of Futsal that you read, the Futsal ball is described as weighted, heavier or slightly heavier than the outdoor ball. That is not true. According to FIFA specifications, the Futsal ball is lighter than the Size 5 outdoor ball. 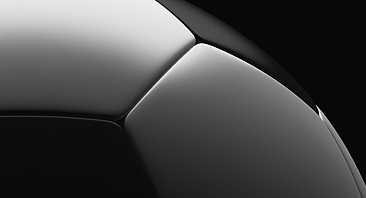 The Futsal ball contains some foam to reduce the bounce, but that does not make it "heavy". To provide an example, I randomly checked the website of a leading Futsal Association and it said Futsal: "is a 5 v 5 small-sided game played on a hard surfaced, basketball sized court with a smaller, heavier low bounce ball." I found the example on my first try. Very typical. The Size 4 Futsal ball is actually 10 grams lighter than Size 5 outdoor ball. It can be juggled, chipped, headed,anything you want. In order to gain the most authoritative information we went tohttp://footballs.fifa.com/Football-Tests/Weight, which contains FIFA Futsal specifications for circumference, roundness, rebound, water absorption, weight, pressure loss, shape and size retention and balance. According to FIFA, the inspected weight of a Size 5 ball is 410 - 450 grams. The inspected weight for a Size 4 Futsal ball is 400 - 440 grams. The minimum and maximum inspected weights of a Futsal ball are therefore 10 grams lighter than the outdoor ball. In order to assess bounce, the balls are dropped ten times onto a steel plate from a height of two metres, under controlled temperatures, according to FIFA. The FIFA chart indicates that the Size 5 ball has a bounce (rebound) of 125 - 155 cm, while the Futsal ball has a bounce of 50 - 65 cm. Comparing the minimums, we see that the bounce of the Futsal ball is only 40 percent of the bounce of the Size 5. This means the Futsal ball has 60 percent less bounce than the Size 5. Therefore, we can say that according to FIFA specifications the Futsal ball is a size smaller and 10 grams lighter than the outdoor ball and has 60 percent less bounce.